Do You Know The Autumn Cherry Blossoms? Cherry blossoms blooming in Japanese springs are famous all over the world, but there are very few people who know the cherry blossoms bloom in autumn. And even many Japanese do not know the autumn cherry blossoms. Autumn cherry blossoms are said to be "SHIKISAKURA", it is a very rare cherry blossom. 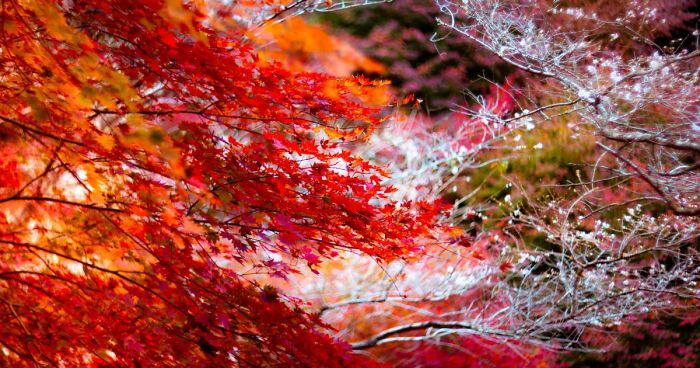 In Toyota-shi, Aichi Prefecture, there are areas where you can appreciate autumn leaves and cherry at the same time. It is an amazing scene where you can see autumn color and spring color at the same time.